Zach Narva (MFA in Design for Social Innovation '19) is troubleshooting the process of using the UV printer to print t-shirts. His biggest tip so far: leave space for the learning process — bring extra t-shirts! 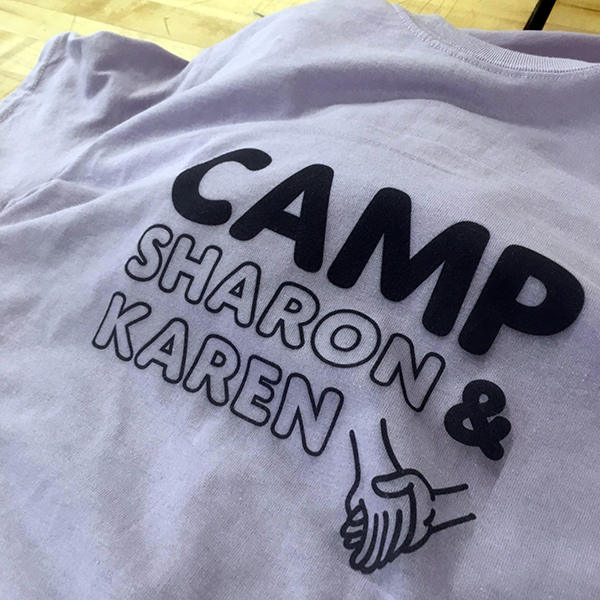 Camp Sharon and Karen is a one-day camp for parents of transgender and nonconforming youth. Zach aims to teach these parents skills to be the even better at parenting . The camp will be April 14th. If you are a parent and want to sign up, please go to campsharonandkaren.com!